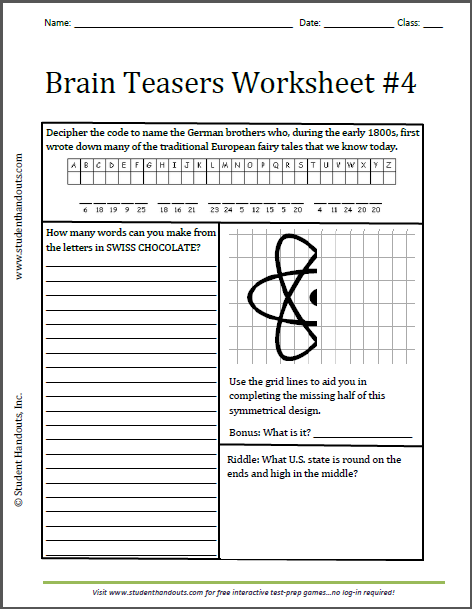 Click here to print this fun brain teasers worksheet. Answers: Jacob and Wilhelm Grimm, atom, Ohio. Please note: the cipher does not follow a pattern. That is, each letter simply matches a random 1-26 number. 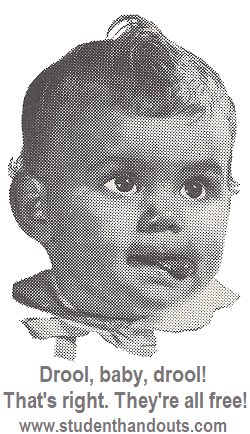 If kids need a hint to get started, point out that three-letter words are more often than not either "and" or "the." For more of our free printable brain teasers and puzzles, click here.